Successful people have long extolled the professional virtues of having a personal uniform, like Steve Jobs’ black turtleneck. Luckily, she has little need for them. For much of her career, the Chicagoan has gone to work wearing a self-prescribed uniform that has made her morning routine a think-free 15-minute affair. No staring at the closet. No pile of discarded outfits. No regrets as she walks into the office that she is overdressed, underdressed or mismatched to tackle whatever comes her way. Rather, Zinck, 47, reliably dons a pantsuit — usually black, though she also has gray and brown — with a classic top. Her signature flourish is a scarf. Removing the daily wardrobe headache frees up not only precious time, she said, but also her attention. “If you’re worried about what you’re wearing, you’re not very present,” said Zinck, vice president of Chicago-based Terra Foundation for American Art and director of its Paris office. Successful people have long extolled the professional virtues of having a personal uniform, with Steve Jobs’ black turtleneck and Mark Zuckerberg’s gray T-shirt and hoodie as famous examples. But recently the spotlight has been cast on women, who are less commonly associated with sartorial sameness. Elizabeth Holmes, founder and CEO of health-care tech company Theranos, told Glamour in an interview published in March that consistently wearing a black turtleneck gives her one less thing to think about so she can focus on work. In an April essay in Harper’s Bazaar, Matilda Kahl, art director at advertising agency Saatchi & Saatchi, revealed that dressing pressures caused such angst one morning almost three years ago that she has since worn a daily uniform of black pants, a white silk blouse and black leather bow around her neck, prompting some co-workers to wonder at first if she had joined a cult. A Huffington Post article last month that pondered whether women get more backlash than men if they wear the same outfit every day inspired the hashtag #sameoutfitdifferentday and enthusiastic Twitter declarations from followers determined to give it a try. The monotony of a uniform, to say nothing of the sideways glances from co-workers quietly wondering if you haven’t been home for a few days, keeps many people from joining the club. But research suggests people might perform better during the day if they didn’t start it by wracking their brains about what to wear. Trivial decisions, like whether to wear a white or blue shirt, burn glucose almost as fast as deciding what to do about the federal deficit, he said. “If you can simplify your life and have the same thing for breakfast or wear the same thing every day, it frees you up to use your decision-making for other things,” Levitin said. Zinck’s closet is based on six of the same style of Theory pantsuits, hemmed to three lengths for different heel heights. Her big collection of silk scarves, which began when she received a Hermès scarf at 16, are the differentiating focal point. 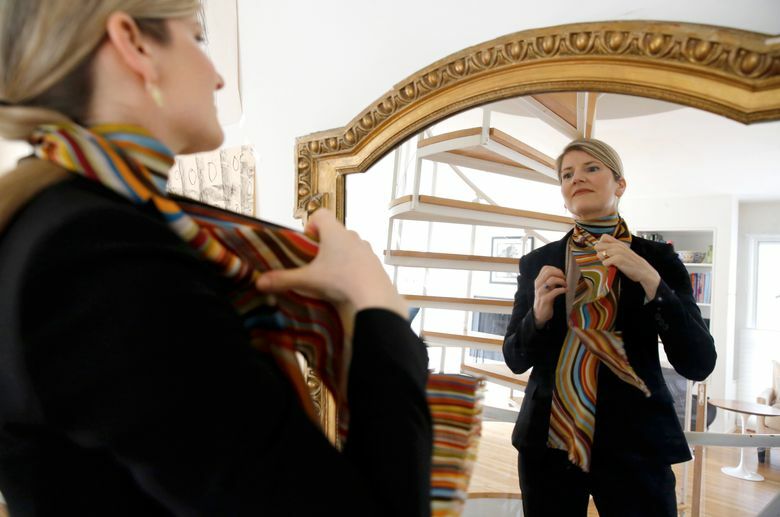 Required to travel often as part of her job bringing American art to other parts of the world, Zinck can pack for a weeklong trip to Paris with two suits and seven scarves. She said people compliment her on the details, like an interesting earring or a shoe. “When you have a uniform, anything you do that deviates, you feel like you’ve walked off the runway because everyone makes so many comments on it,” she said.